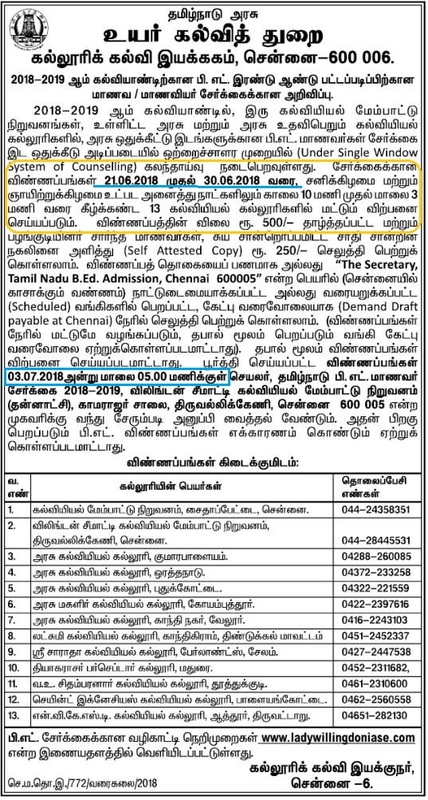 Tamil Nadu Government Higher Education department invites application for Two Year B.Ed. Degree Courses in the Government B. Ed. Colleges and Government aided colleges admission Under Single Window System of Counselling.